Must See! One-level L-shaped solid, concrete block, metal roofing commercial building along 152 St in South Surrey Sunnyside Neighborhood. Great traffic and pedestrian exposure. Just a few minutes drive to Windsor Square Centre, Semiahmoo Shopping Centre, Save-On-Foods, Surrey Public Library, and so on. Close to schools and parks. The building has approx. 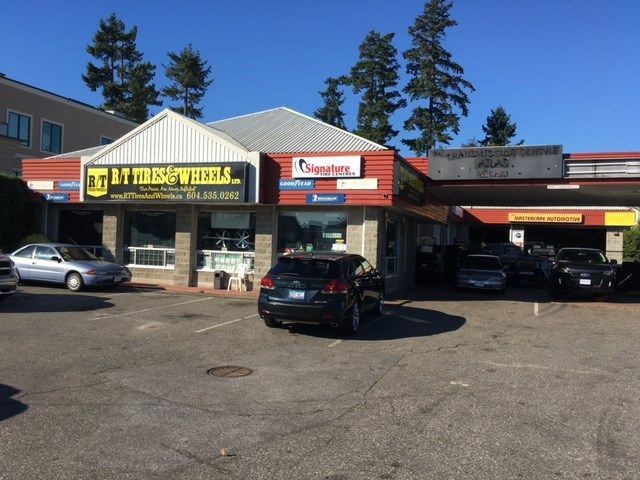 7450 SF plus 324 S/F under roof open space leasable area with 2 triple net tenants. Net rent income is around $93,480/yr. The property is under CHI (Highway Commercial Industrial) Zoning. Excellent for holding. Call now for more information!